Your voice not only conveys your message- it can say a great deal about you. Your professional success with depend on your speaking skills. Voice training is for anyone who needs to be a successful communicator but who feels that one or more aspects of their vocal delivery prevent them fully achieving this. Step by step approach. Each learner is assessed and the training aids are mapped in a unique fashion. Pre-assessment, mid and post-assessment to demonstrate transformation and pronunciation. Taking you through every habit for each of the sounds and outlining the rules and patterns for the most crucial sounds. Follow along and compare your own speech to the neutralised accent. Use visual aids, new and proven techniques to train yourself successfully through live faculty and recorded sessions. Program designed backed by several years of research that brings in Adult learning & Remote learning principles into learning. Voice & accent training program enables you to learn fast and with ease.. The course covers structured lesson plans, contextual vocabulary and cultural familiarity and also helps you to use the right resource to develop pronunciation and speak with style and clarity. This course is taught by Professional Expert who has been teaching Voice & Accent for over 15 years. Our instructor engages variety of teaching tactics in making every lesson appealing and understandable. 361DM is a research-led Edu-Tech Company that offers learning solutions in higher education to individuals, corporate, universities and colleges. With a unique blend of research led futuristic pedagogy, a robust platform, and globally benchmarked content, 361DM offers programs in diverse areas of professional development, skilling, health-care, organization development and higher education. The i-meta platform of 361 DM, enabled with unique augmented and virtual reality-led classes allow mobile learning i.e., you can learn anytime and anywhere. You can learn by downloading the 361DM App in your smart phone. Our platform facilitates group discussions, learning resources, performance records, post-class assessments, e-library, and opinion polls during classes. The course prepares candidates to speak with greater clarity and confidence and communicate effectively in public. It also enables you to enhance your presentation skills,better understand and use the power and potential of your voice and extend your vocal range. How do we like to communicate best? Mrs. Premila Paran is a versatile trainer with 15 years of experience. 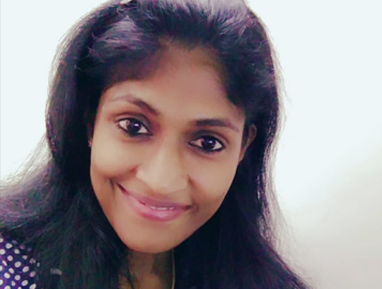 She is a professional English language trainer and specialises in training students on English as medium of communication and has conducted many programs on Voice & Accent for schools, colleges and corporate. Her passion for training has helped teachers, school and college students to refine their English speaking skills and thus enhanced their confidence levels. Her other programs include work-life balance, life skills, customer service, telephone, office and email etiquette. In this time I really say thanks to Ms.Premila. I have learnt how to approach the situational speaking, how to make and complete the sentence proper way.It is a great platform in my career both personally and officially…Previously, I was very scared to interact with my colleagues in my office, because of communication problem in English..But after I joined this program I am learning and improving my skills and knowledge about English and nowadays I am able to give presentation on my own in my office.. I had an awesome support and complete assured transformation. I am happy that I started using better vocabulary for my business communication skills. Thanks to the trainer for helping me to talk with confidence and overcome my fear. I got to know many things in a do- way method. This training has helped me to overcome my MTI. The trainer Mrs.Premila is professional and teaches with involvement. If you want to fine tune yourself with various skills required in this competitive world then this is the right place.